Britain’s housing market continues to stagnate as enquiries from new buyers fell for an eighth consecutive month in March, according to the Royal Institution of Chartered Surveyors (Rics). More than a quarter of the 300 chartered surveyors questioned in its latest monthly residential market survey said they had seen a fall in buyer demand across all parts of the UK, causing the number of agreed sales to drop. Rics blamed the continuing “Brexit impasse”. However, the trade body also reported “more optimism” about a modest improvement in activity over the next 12 months, with 15pc more respondents than in February anticipating house prices would rise over the next year, the strongest reading since August. “The March survey results show little departure from the subdued picture evident across the sales market for several months now. Forward-looking indicators suggest this lack of momentum is likely to continue for a while longer, although perceptions on the 12-month outlook are a little more sanguine,” Rics said. It is bad news for homeowners in the capital, however. While prices are expected to return to growth across most regions in the UK over the coming year, with Northern Ireland, Scotland and Wales leading the way, London and the South East are the only areas where surveyors expect prices to continue to fall. 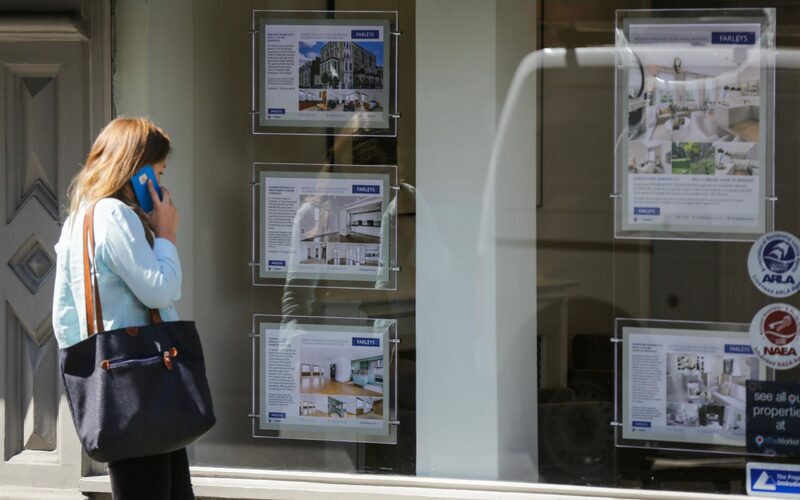 Alongside Brexit uncertainty and low housing stock, with the average number of properties on estate agents’ books at 42, Rics has blamed unrealistic sellers for holding up the market. Its chief economist Simon Rubinsohn said last month that it was clear from professionals working in the market that “this environment requires a greater degree of realism from those looking to move”. Allan Fuller, of his eponymous London-based agency, said March had been “a busier month with more sales agreed than any month since August 2017”. He added that if Brexit was “sorted”, activity would increase and prices would stabilise. The housing market has slowed since the EU referendum in 2016, and Rics previously predicted that national house price growth would come to a “standstill” this year, although a supply shortage “will negate outright falls”.